The Secret Power of Yoga book takes the reader to the heart and spirit of Yoga by offering a commentary on Patanjali’s Yoga Sutras that emanates from an intuitive, feminine heart centered approach. 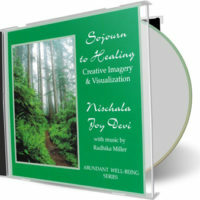 Unlocking the secrets of this sacred text, The Secret Power of Yoga views consciousness as residing not only in the mind, but re-establishes the ancient wisdom that recognizes the essential role of the heart. Where most of the standard translations advise people on what “not to do,” this book offers insight into what “to do”. The Sanskrit term ahimsa usually translated in the negative as “non-harming,” is interpreted here in the positive as “reverence for all life”. Also unique to this accessible version of the Yoga Sutras is that each sutra includes practices and meditations designed to help the reader integrate each sacred jewel. 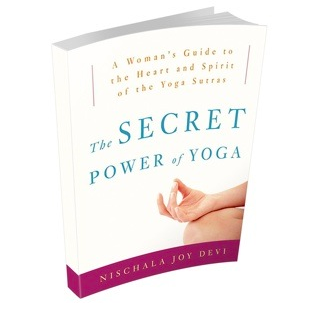 The Secret Power of Yoga, explores and honors the unique significance women have in empowering their own, as well as others, spiritual realization.